Israel – 'I Am Jerusalem' is a new multimedia interactive experience designed to welcome visitors to one of the most famous cities in the world, offering a fast-moving history and snapshots explaining how cultural diversity is fundamental to the dynamics and development of life in this vibrant gateway to the Middle East. Robe Pointes moving lights were specified by the installation division of Danor Theatre & Studio Systems as part of the entertainment lighting scheme in the movie theatre which features 270 degree wrap-around HD video and a video ceiling. The venue is located in the basement of Jerusalem’s central retail environment, Mamilla Boulevard. During the 25 minute show the city’s rich and colourful history is unfolded to an intimate audience of 200 complete with pitching and moving seats to ensure a roller coaster ride! 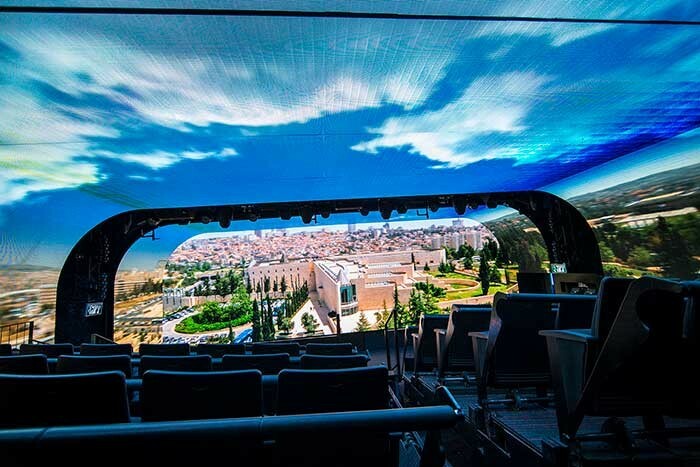 Orphan Group Creative, who delivered the ‘ride’ concept to the city of Jerusalem appointed AVS as the principal AV contractor to provide all the audio lighting and AV technology needed for the theatre. They in turn approached Danor to consult and specify the speciality entertainment lighting required. These were supplied along with LED battens, PARs and some DMX controlled fans for wind effects. 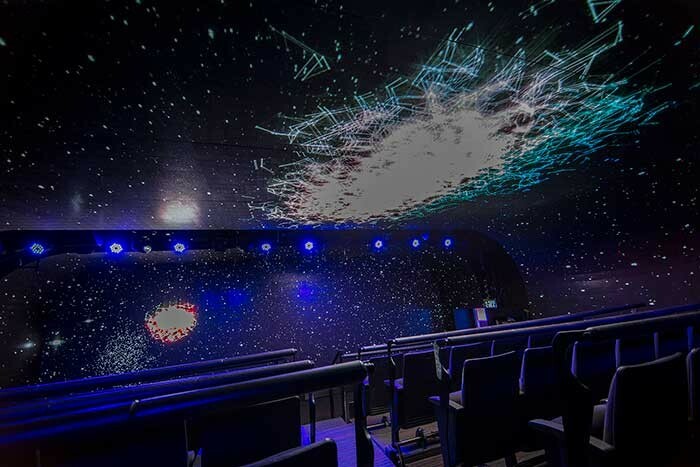 Danor also supplied all the trussing, dimmers and all the cabling infrastructure needed to make this work, as well as undertaking the installation. 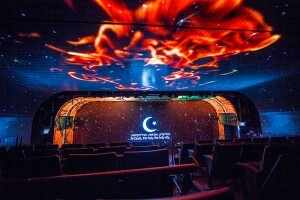 They also commissioned the lighting system and provided Moshiko Peer to program all the lighting cues and effects, a task for which he worked closely with overall show directors Amit Fisher and Moshe Zilbernagel. Amit was involved in developing the lighting cues. He had a clear idea in his head about what he wanted to see, the atmospheres that needed to accompany various parts of the high-impact visual and sonic show and ensure that lighting and video content were in harmony. ‘We were all very pleased with the results and with what the Pointes were able to achieve,” confirmed Erez, who specified Pointes for three main reasons. Firstly because there was a lot of LED limiting involved and plenty of ambient light coming off the LED surfaces, so it was essential to have a powerful and bright luminaire. Secondly, he wanted fixtures with a proven track record of reliability. As it's a fixed installation, fundamental to any supplier is having reliable kit with long and sustained lamp life that will need little maintenance. Thirdly he needed a small unit because of the low ceiling height, so the Pointe ticked all the boxes and brought lots of additional flexibility and versatility. 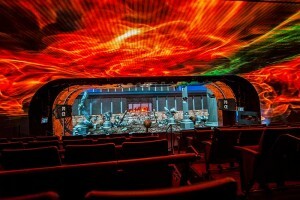 The Pointes are rigged to trussing installed in the roof and around the room and have been fitted with three different custom glass gobos from Rosco. The show content looks at the 5,000 year history of Jerusalem, during which time the city has been destroyed twice, besieged 23 times, attacked 52 times and captured / recaptured 44 times! The oldest parts were settled in the 4th millennium BCE, making Jerusalem among the oldest cities in the world. It has played a pivotal role in both Israeli and Palestinian nationalism and the atmosphere making it unique and fascinating to so many has been created by the co-existence – sometimes a fragile mix – of three key religious groups, Christians, Jews and Muslims. 'I Am Jerusalem' looks forward to a future of peace, inclusion, a recognition of diversity and the success potential for everyone involved in its maelstrom of creativity and commercial enterprise.